When this blog started, we had no idea that life would change so much, so quickly. Granted, we’ve been pretty bad at writing posts on the regular (here’s me trying to change that now! ), but there’s obviously a good reason for it! It’s amazing to think that this blog is now 18 months old. It seems like only yesterday that we were starting it, full of enthusiasm and ideas for posts. That hasn’t faded, by the way, but life has changed a lot! In the last posts we did, we both spoke about the thought of becoming parents. Well, our little bundle of joy is now 5 months old, and we haven’t blogged about him once, so here goes!! A bit later than scheduled, he was comfy, and didn’t want to come out. It wasn’t Ashleighs planned birth, which was a shame as she had prepared for something that sadly never happened, but, the most important of all, mother and baby were both fit and well after. I’ll let Ash post about the labour, for me it was one of the most helpless times of my life, wanting to help, but knowing that other than offering support and reassurance, there wasn’t much I could do. I’ll be honest, as much as people tell you about the sleepless nights, *nothing* can prepare you for them. Grayson was waking every two hours for a feed and a change. We both woke for these, as he was in our room, it’s kind of impossible to sleep through and we’re both too stubborn to go and sleep in the spare room or on the sofa as it didn’t seem fair. 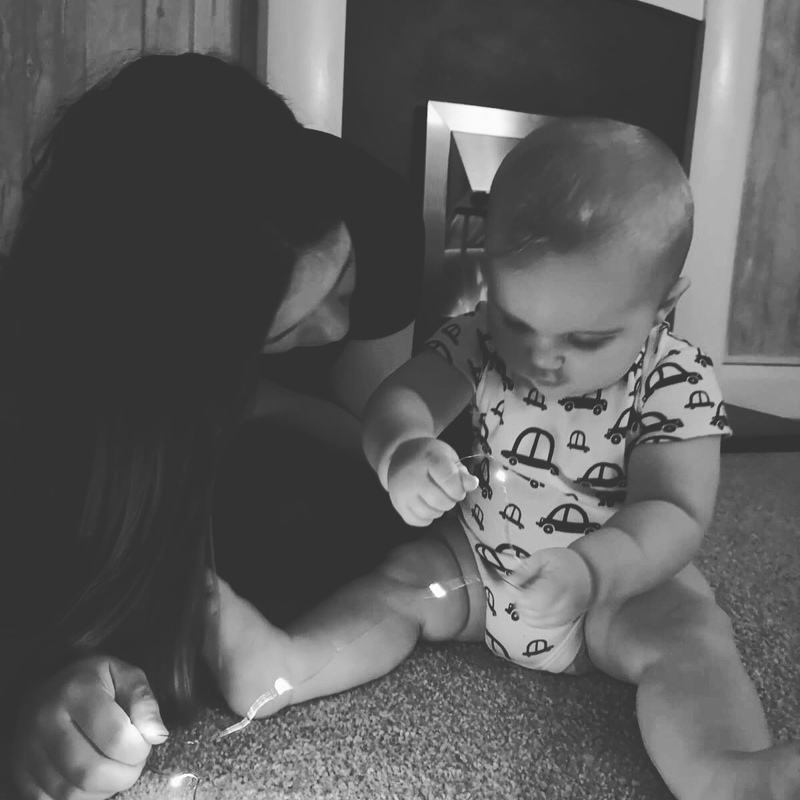 G has had an amazing first 5 months of his life – he’s been lucky enough to do things that some people could only ever dream of, it’s just unfortunate that he’ll never remember them, but we have the pictures so he can believe us when we tell him! G’s life story so far…. He met and had his picture taken with Jürgen Klopp when he was just 3 days old (For my professional etiquette, that picture is staying private – I’m hugely privileged to work in an environment where I’m working alongside such people). G’s been to his first festival (on the hottest day of the year!) – the same festival at which we got engaged last year…. It’s crazy to look back at pictures of G just after he was born – so tiny, compared to now, only 5 months later – he’s grown in to such a character – such a poser for the camera too, which was to be expected seeing as he’s had cameras stuffed in his face from minute one of life! He watched England in the World Cup, too! We’ve also purchased our own house now, and relocated, and throughout the whole process, he’s been good as gold – just getting on with whatever we throw at him. The number of times he’s had to sit on the car for hours on end whilst we travel between Norwich and Liverpool is uncountable, but he just deals with it. I’ll try and post more often, I promise.